This is third and the last story of a three-part series How to buy Recruitment Technology. We have devised a working model for Recruitment Management System to help in decision making from SMBs perspective. 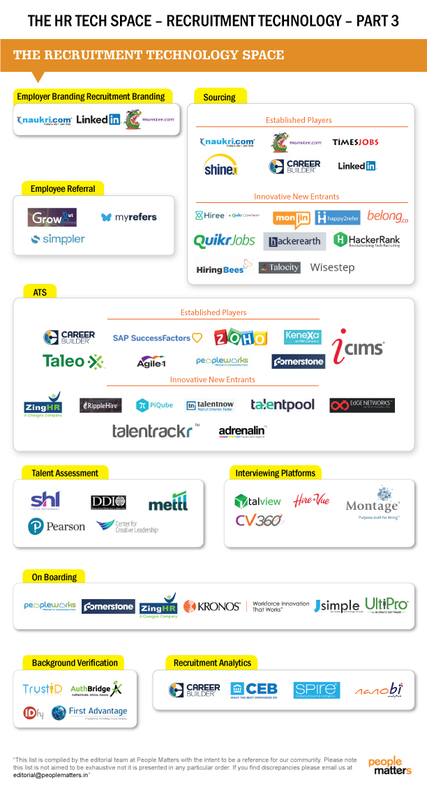 In the previous article we saw how varied and complex the Recruitment Technology space is. 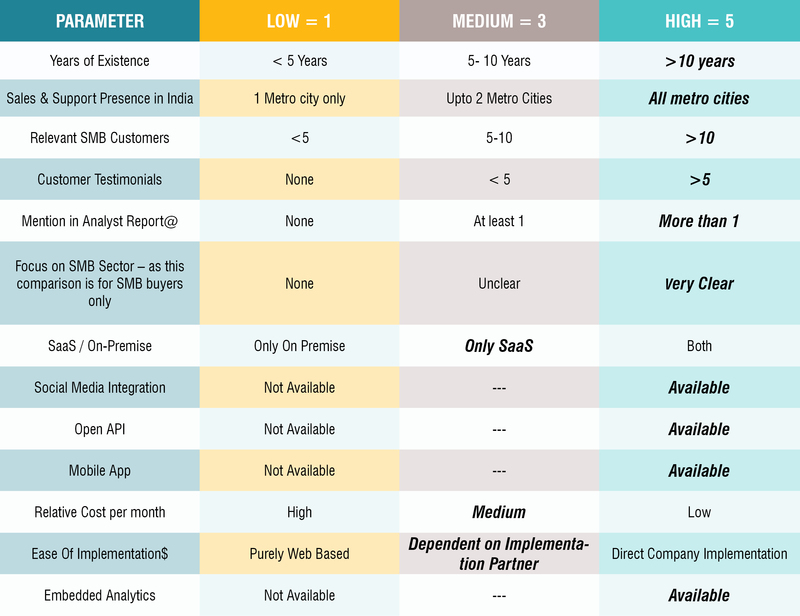 We looked at the overall marketplace from a broader perspective and highlighted certain companies in each category based on their presence in India and strength of their solution/s. We also briefly talked about 3 companies in the recruitment tech space which are global organizations with presence in India. It is impossible for us to cover each & every organization operating in each & every sub category within recruitment space. In this part of the article we would now focus on SMB organizations and their realities from a recruitment stand point. Our attempt here would be to further distill the list from an SMB perspective & see if we can give you a consideration set given your realities and constraints. As mentioned in the earlier article from an SMB perspective it is important that you have a clearly defined recruitment process and your business drivers to help you in the recruitment tech evaluation and selection process. Most recruitment tech is offered via Software-as-Service (SaaS) model and this makes access to global solutions easier to Indian companies. 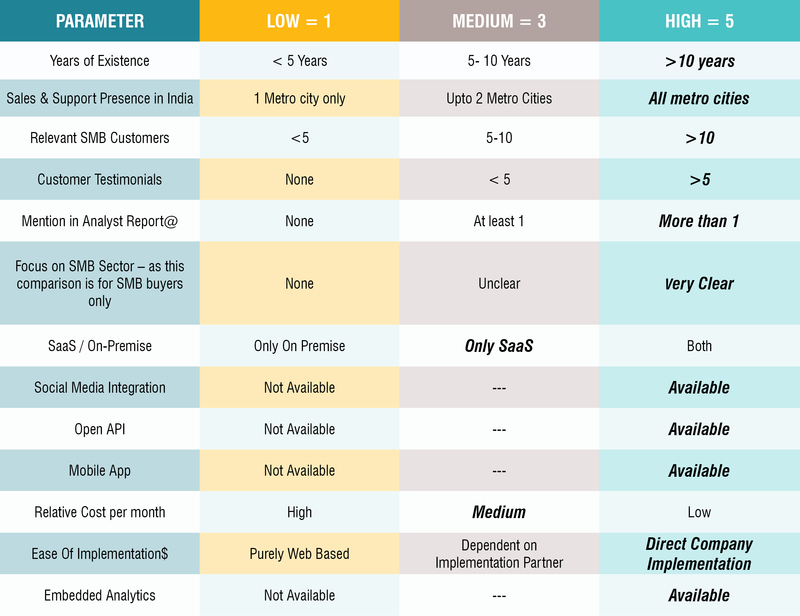 We would recommend Indian companies in general and SMB in particular to critically assess the focus these global organizations have on India before signing up. During & post implementation support is critical and having a solution provider from another country would only add to the complexities of the implementation process. Most SMB companies would consider buying recruitment tech from a sourcing point of view first and not really an ATS perspective – since most organizations in this space would tend to have the business person lead the recruitment process while HR person is simply supporting by sourcing relevant profiles. In most cases the recruitment process would be simpler with multiple interviews conducted my multiple individuals and typically the head of the function or organization would take the final decision. We would however strongly recommend SMB companies especially companies that have a team of recruiters of more than 3 people, to consider the implementation of an end-to-end recruitment technology as the benefits of a well-designed solution can be seen in improved business results & recruitment metrics. We are talking about all recruitment technology from an SMB perspective with this assumption in mind. We would not talk about all categories in detail – like sourcing or background verification as these “point” solutions are very difficult to evaluate in a generic manner. They are best evaluated contextually wrt to organization process and industry. While we will apply the same evaluation framework mentioned in earlier articles to look at the overall consideration set from an SMB perspective, we would primarily highlight companies that make sense for SMB. This would mean that we may not talk about some of the companies mentioned in earlier articles. This is simply because in our evaluation they did not address the needs of the SMB market sufficiently and /or they are not focused on this market at all. Based on these parameters of evaluation, we now present to you top companies that you should consider when you are evaluating recruitment technology solutions. We have only considered companies with India presence or Indian companies with clearly defined focus on SMB sector in this list. This is not a ranked list but a list of players to help you choose from. Since there are multiple players under multiple categories we will now briefly talk about few of the players who really stand out in this crowded place. Here we are specifically talking about Indian companies with focus on SMB market, which have an end to end Recruitment tech solution & hence have chosen not to talk about large global organizations. This, however, does not mean that those companies mentioned above do not provide these solutions or should not be considered. We are only talking briefly about a few Indian companies especially in the end-to-end Recruitment technology space to give you a deeper understanding of their offerings. We are again going with our assumption in the earlier article that the Applicant Tracking System (ATS) is the “heart” of the recruitment process and hence would look at companies who provide ATS & other applications. Adrenalin provides a comprehensive web-based HR management software that automates entire HR processes. Here we will focus on their Talent Acquisition offering which has modules like applicant management, requisition management, new hire onboarding, Interview & selection management, and offer management. Gartner recognized them as “niche player” in year 2013 & 2014 in the Gartner Magic quadrant – which is a very impressive achievement for an Indian product company in HCM space. With more than 10 years of HR Tech implementation experience and a strong SMB customer base, this becomes a natural contestant for all SMB players looking to automate their recruitment processes. For HR By HR as the state, this is one of the fastest growing HR Tech & outsourcing companies from India. The recently launched Alt platform allows especially SMB players take advantage of great processes and efficiencies. This solution from the PeoplStrong team is being used by 3 Lac people as claimed by their website. Given this and a strong focus on SMB sector makes this a compelling player that all SMB decision makers need to consider for their recruitment technology implementations. A division of CrossDomain Solutions, this is a player focused on SMB and enterprise customers. Established in 2013, PeopleWorks HCM on Cloud solution is a comprehensive suite of HR solutions. The company has horizontally expanded its capabilities from its core competence of payroll solutions to include Recruitment tech solutions. This is an Indian company which is also global. Zoho is very clearly focused on solving technology problems for SMB businesses and has a plethora of products including HR solutions. Our focus here is on Zoho Recruit, which has Sourcing, ATS, and analytics solutions built in. Zoho is a great solution for an SMB customer especially when they have the process expertise in-house. Zoho’s solutions also allow its users to custom design the workflows through an intuitive “self-help” platform. SMB players choosing to move to Zoho will have to be cognizant that they would need someone internal who understands the process & will be motivated enough to do all the customizations required for your workflow to work effectively. You may check more details and user reviews about Zoho Recruit here and here. 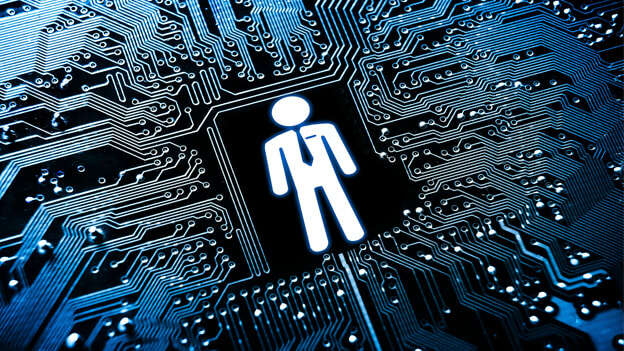 The life of an SMB HR leader is no less difficult than his or her enterprise counterpart, especially when it comes to assessment and selection of recruitment technology solutions. It becomes even more critical for the SMB HR leader to know what he/she wants and be able to clearly map those requirements to available solutions in the market. It is very important for most HR leaders to continue to focus on their needs and organizational context rather than features provided by the vendors. We hope that this series on recruitment technology has given you an overview of various Indian and Global solutions available for your business and would help you in your decision-making process.